Health insurance is usually paid for with a monthly premium. This is the price that you pay to have an insurance policy. In addition to your premium, most plans have a deductible: the amount that you owe for covered health care services before your insurance plan begins to pay. For example, if your deductible is $1,000, your insurance plan will start to pay for covered services after you pay the first $1,000. Sometimes your plan may also have a co-insurance: this is usually a percentage that you will owe after the deductible has been met. For example, if your co-insurance is 20%, your insurance plan will pay for 80% of covered services (after the deductible is met) and you will pay the other 20%. Most plans also include a co-payment: the amount that you will pay for services such as doctor appointments or physical therapy. This is usually a flat rate amount for each time that you have this service. For example, you may have a $20 copay for office visits. When you purchase an insurance plan or are offered one through your employer, be sure to get an Explanation of Benefits document. This will outline exactly what the coverage will be for medical services and what you will owe. There may also be exclusions in a health care policy. Sometimes health insurance policies do not cover all medical expenses, it is important to know if your policy has any type of excluded services that it will not cover. Preauthorization is a process by which a health insurance policyholder would have to get prior approval for a medical procedure, or approval to see a specialist before the insurance will cover. Many non-critical treatments or tests require a preauthorization, it is usually the policyholder’s responsibility to know if you need a preauthorization. Not all insurance plans are the same; here are a few examples of the different types of insurance. HMO plans generally have the lowest monthly premiums, but you will need to choose an in-network primary care provider (PCP). PPO plans often have a higher premium, but offer a greater flexibility to choose a primary care provider as well as specialists. DCH accepts many difference health insurance plans, as well as Medicare and Medicaid. Every insurance plan offers different coverage and provider networks. If you are shopping for health insurance or need help to understand what your existing plan covers, please feel free to call our Patient Financial Liaison at 810-376-7013. It is important to understand your coverage before you need medical services, so that you are not surprised by any bills that you may receive. If your insurance is not on this list, please contact your insurance company for a list of in-network providers in your area. You may elect to make a payment arrangement for your outstanding balance at the hospital. Our Financial Liaison staff can work with you to set a monthly payment amount that you will be able to pay each month. In some cases a hospital bill can create a financial hardship, if this happens to be the case for you, please reach out and we can help to get your bill lowered to an amount that fits your income guidelines. This program is offered to patients without insurance, underinsured, ineligible for a government program, or otherwise unable to pay for their medical care. DCH does provide care of emergency medical conditions to individuals regardless of their ability to pay. The financial assistance program is based on need and determined by Federal Poverty Levels, which includes income and number of family members. Financial need does not consider age, gender, race, social, or immigrant status, sexual orientation or religious affiliation. DCH limits the amount charged for emergency and medically necessary care provided to patients who are eligible for financial assistance under this policy to not more than gross charges for the care multiplied by the amounts generally billed percentage. If you want to get started to see if you qualify to lower your bill, we will need you to complete an application, as well as provide some supporting documents. To request a free application be mailed to you, call 810-376-7013. You will need to include with your application a verification of include (last two months) and last year’s federal tax return. Submit your application and all requested documentation by email, fax or in person. You can rest assured that DCH understands the sensitivity of your personal information and works hard to protect your privacy. Where can I make a payment? – You can make a payment on your bill by mail, at the registration desks, over the phone, or using your patient portal account. Can all of my accounts be combined so I only receive one statement? – Yes! We have a feature called “family account”, anyone in registration or billing can get this set up so that your family only receives one monthly statement. Does my insurance cover a certain test? – Please be sure to contact your insurance company to check that your plan covers a certain test. I received a bill from vRad, what is this? – Any xray or imaging service that is performed at DCH is read by a radiologist from vRad. You will receive a separate bill for this reading from vRad directly. Click the link below to view a comprehensive listing of DCH hospital services and prices. The hospital typically will adjust prices annually, but are subject to change without notice. The charges listed are the billed charge amounts and do not include any type of adjustments taken by your insurance company. Please note, if you are looking for pricing on a procedure or surgery, there are several itemized charges to consider. 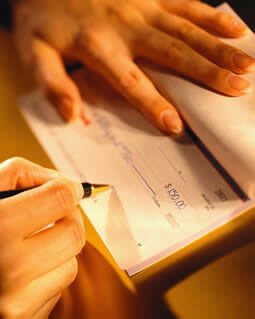 It is best to call the Financial Liaison to get a more detailed estimate. For more information about a bill that you have received or DCH financial policies including payment plans, estimates, or financial assistance, please contact out DCH Financial representative at 810-376-7013, Monday through Friday, 7am – 4 pm. DCH staff can also provide a copy of our billing and collections policy, which describes the actions that DCH may take in the event of nonpayment and is provided for free upon request. Page last updated on April 18, 2019.